Who was involved in Ancient China's warfare? The soldiers in ancient China were not given any pay, wore barely enough clothing, and were anywhere between 23-56 years old, and served for two years. They did receive rice for their family based on their age and gender. One of the most famous military Generals was Sun Tzu. Around 519-506B.C. 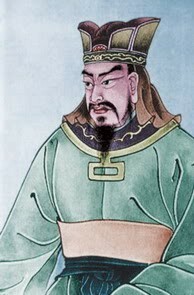 , King He Lu of Wu raised a pheasant army and asked Sun Tzu to lead it. At the battle of Bai Ju, when Sun Tzu saw the Ch’u had more soliders and better ground, he retreated only to turn around and attack again once the Ch’u had somewhat scattered. After the battle was won, the Wu army eventually crushed the Ch’u kingdom. Qin Shi Huang's army unified the seven provinces of ancient China by capitalizing on superior weapons. China’s emperors were constantly expanding the borders of their empires through conquest. They often took the same land as their predecessors and more land to seem more powerful. It was basically a continuous rotating cycle of land ownership. 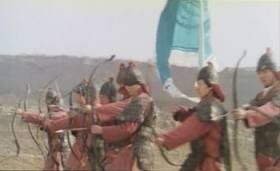 The Time of Warring States was probably the most famous period of war in the history of China. It lasted from 481-221 BC and during this period, China was split into 7 main kingdoms with the Qin eventually emerging victorious in 221 BC and created the first emporer.Advances in military technology gave superiority to larger states with the resources to take advantage of the newer technology. Part of this technology was the casting of individual weapons which allowed the arming of foot soldiers. In previous eras the fighting was done by aristocrats in chariots. Chariots were not produced on a mass production basis so participation in the battles was limited to a small proportion of the population, the ruling elite of the city-states. But with the development of the casting of individual weapons there was a marked advantage to states with the economic resources to produce the weapons and the population to provide large armies to use these weapons. 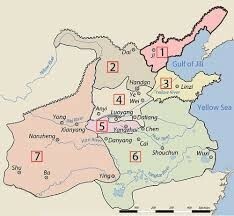 Mostly, the emperors of China took over land because of their greed to be the ruler of all of China. When an empire collapsed to several Lords or noble families (ex. Time of Warring States), they each attempted to annihilate each other to become the next ruler. Superior weapons and vast armies were often the key to conquest of the land.